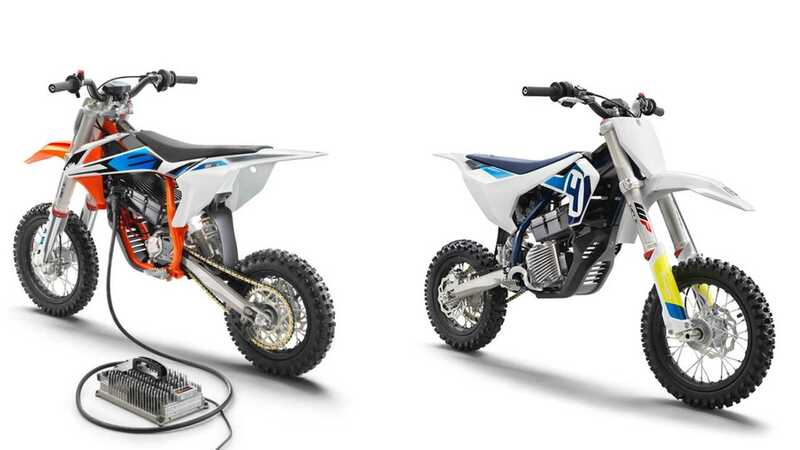 This KTM and Husqvarna are virtually twins and an interesting take on the "50cc" dirt bike segment. I use quotes because they are actually electric bikes for riders too young to have their license. They're real bikes, not toys, and have the distinct advantage of not making much noise compared to gas-powered versions. Additionally, you can turn down the power for a new rider, then turn it up once they understand that power is nothing without control. I'd love to see bikes like these take off in popularity, especially since KTM and Husqvarna have addressed some of the concerns that cautious parents may have. Get them while they're young and make them riders for life.